Brian Rose (B.A. 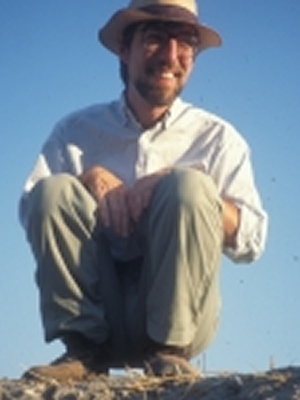 Haverford College; M. A., Ph.D. Columbia University) is James B. Pritchard Professor of Archaeology and Curator-in-Charge of the Mediterranean Section of the University Museum of Archaeology and Anthropology. Since 1988 he has been Head of Post-Bronze Age excavations at Troy, and is English language editor of Studia Troica, the annual journal of the Troy excavations. His new survey project in the Granicus River Valley focuses on recording and mapping the Graeco-Persian tombs that dominate the area. His research has also concentrated on the political and artistic relationship between Rome and the provinces (Dynastic Commemoration and Imperial Portraiture in the Julio-Claudian Period, Cambridge University Press, 1997). He is Vice President of the American Research Institute in Turkey, First Vice-President of the Archaeological Institute of America, and a Trustee of the American Academy in Rome. His recent seminars have dealt with Roman Topography, the Archaeology of Troy, Augustan Rome, and Roman Republican sculpture, architecture, and coinage. He is currently finishing the final publication of the architecture and architectural decoration of the Roman houses at Troy.